Who are we and what do we do? Simple (kind of)! We are a non-profit youth ranch that mentors kids from ages 6-18 years old. Learn more here! To be a volunteer at Crown Valley is an amazing opportunity, and it is a huge help to the ministry! Volunteering not only benefits us, but also the volunteer. Learn more here. To read our latest newsletters, click here. To stay in the loop of what God is doing out here at CVYR, give this page a click! 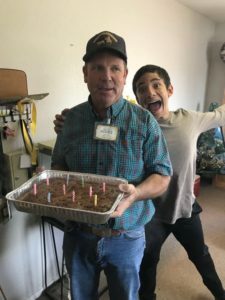 Ever wonder who’s behind the scenes of this ranch (besides the Lord of course)? Get to know a little bit about our staff and volunteers on this page. Click here to start reading! CVYR has a vision to unite with the youth ranch ministries that are scattered throughout our state. Click here to read more about similar youth ranches! We are excited for this new season at the property and finally get to the real reason and purpose of why we are here— to watch God work in lives through us! It’s been a real roller-coaster ride so far, complete with moments of disappointment and also exhilarating times when God blesses and provides far beyond our expectations. Even in those times when things don’t go so well, later we can look back and see that God had something better. His protection and guidance has tested and strengthened our faith. It is an honor to be part of His plan and watch it unfold before us. It has taken so much to get us here. The renovation of our main building, cleaning away brush and trash, re-roofing two buildings, updating the on-site residence, building corrals and fences, hundreds of volunteer hours, spiritual warfare, tractor work, sweat, skinned knuckles, training volunteers, and constant prayers. After all this investment and hard work I have recently come to this conclusion— it’s worth it! Seeing the kids come through our doors with all kinds of issues (some not so obvious) and listening to their stories can be heartbreaking. They have gone through tough times yet are resilient and eager for the attention of a friend and mentor. Armed with the Good News that Jesus loves and cares for them creates great opportunities for discipleship. What an exciting time! Please continue to pray for us and the children and families we minister to. We have many challenges ahead and our enemy has us in his cross hairs. Prayer is more important than ever. Crown Valley Youth Ranch is a faith-based organization. Though the ranch is not associated with any denomination, the basis of our belief rises from the same Judeo-Christian values that our nation was built upon. 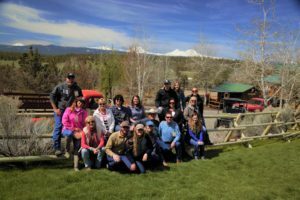 The Founders, Board of Directors and staff of Crown Valley Youth Ranch, believe that Jesus Christ is the one true Son of God, Savior, Healer, Redeemer, and coming King. We believe the Bible is the breathed Word of God, perfect in every word and without error. It is our greatest desire to serve God by the demonstration of our faith through action. 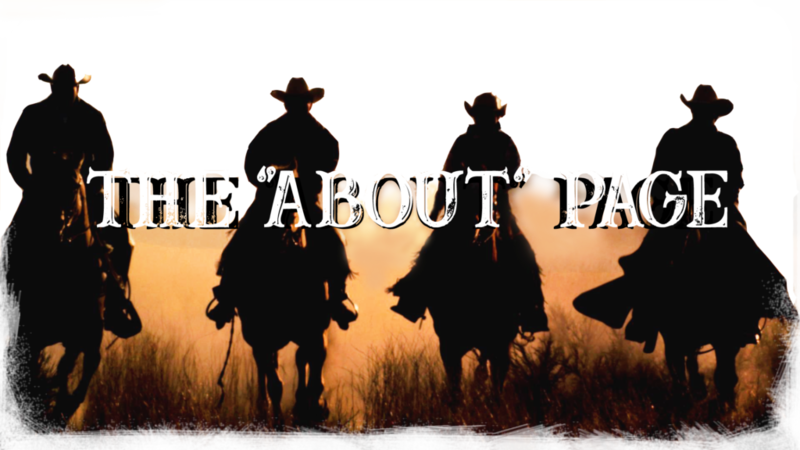 Faith on the ranch is demonstrated through “living example” to those we work with. It is our highest honor to serve children and families of all backgrounds with the same loving grace that has so freely been given to us. As a result of this foundation, all of our programs and training are structured accordingly.